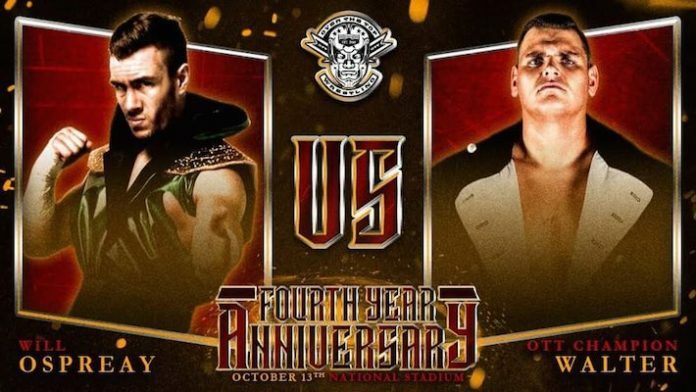 Over The Top (OTT) Wrestling has announced two huge bouts for their upcoming 4th Anniversary show. Will Ospreay vs WALTER II will be taking place at the event. The two international superstars had their first ever encounter at DEFIANT’s recent Stacked ’18 event. This will be one not to miss. The fourth anniversary show will be taking place Saturday October 13th from the National Stadium in Dublin, Ireland. Tickets are available to purchase now via Eventbrite. Oct 13th National Stadium Dublin !